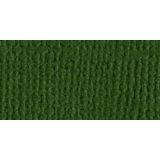 Bazzill Ivy Cardstock - Bazzill-Mono Cardstock. The perfect addition to all your paper crafting projects! This package contains twenty-five 11x8-1/2 inch textured sheets. Comes in a variety of colors. Each sold separately. Acid free. Made in USA.